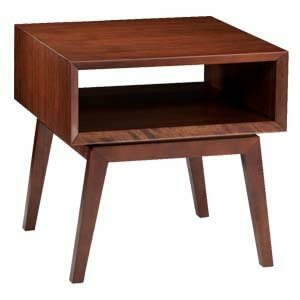 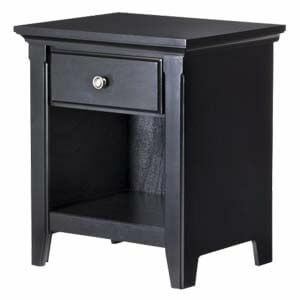 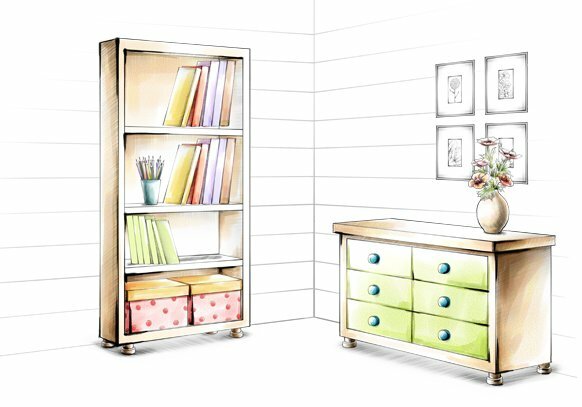 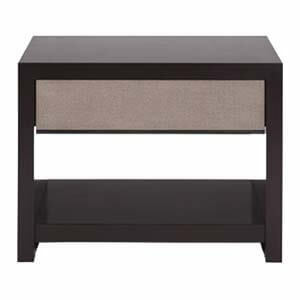 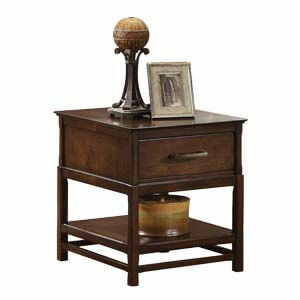 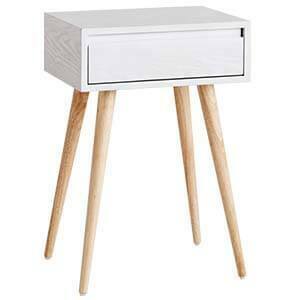 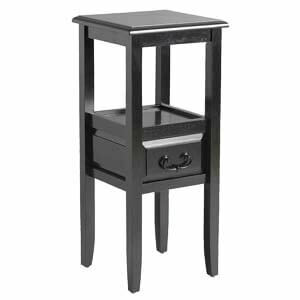 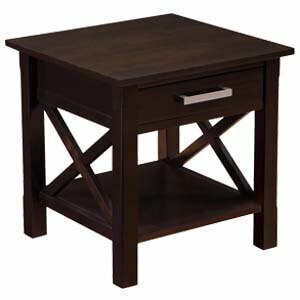 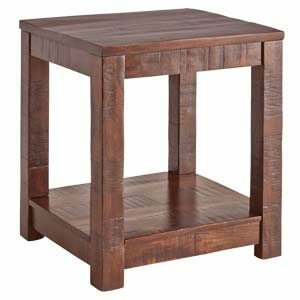 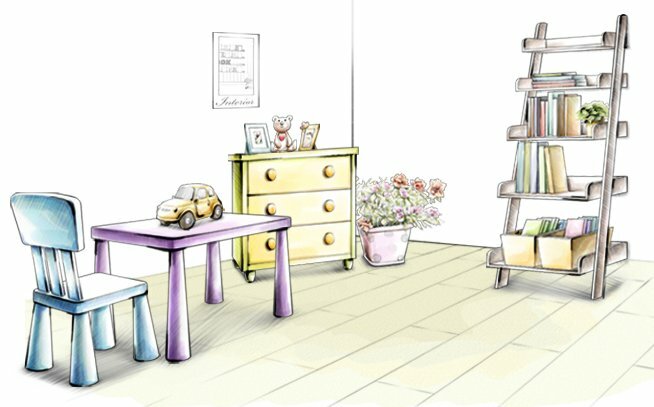 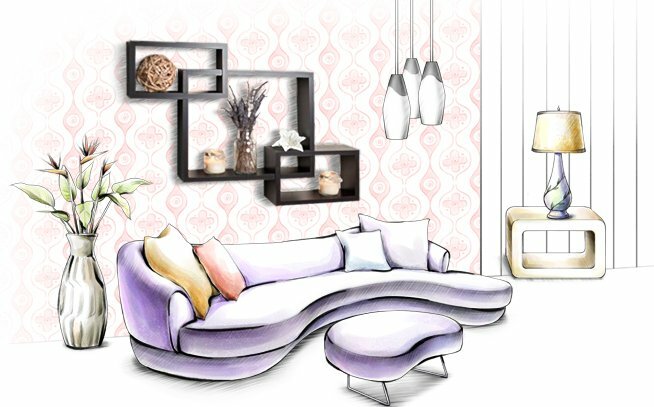 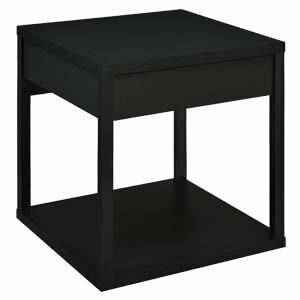 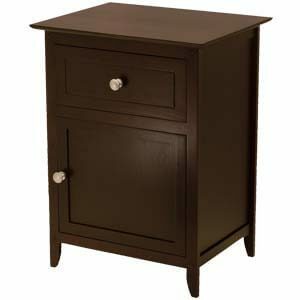 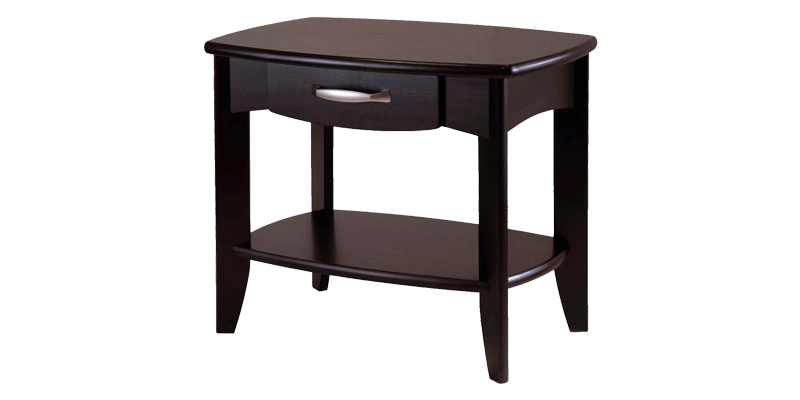 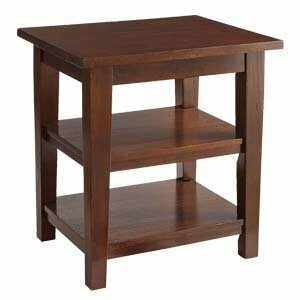 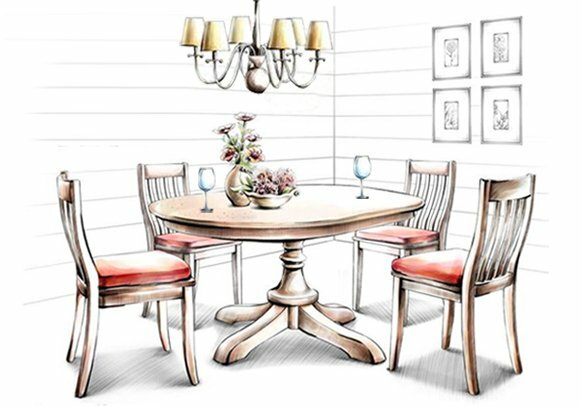 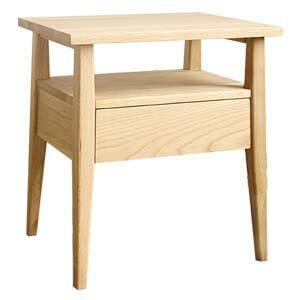 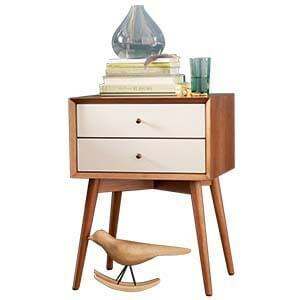 This transition styled wooden end table blends both intrinsic style and storage functionality. 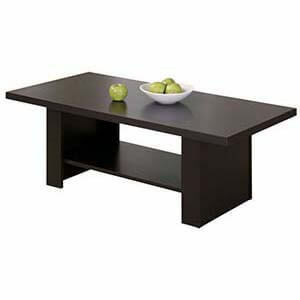 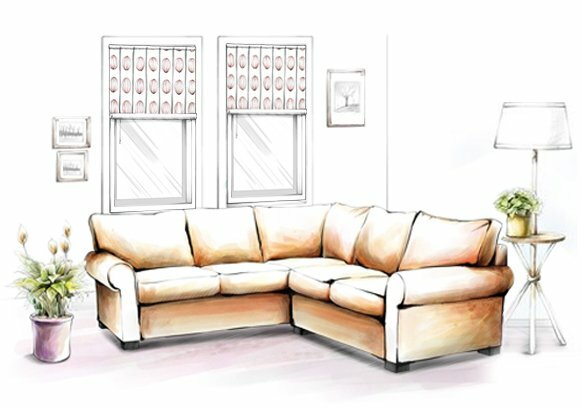 It’s got a square, thick laminated table top that accentuates into bull nose edges. 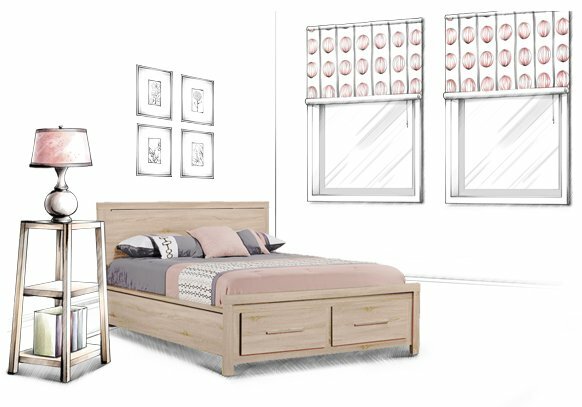 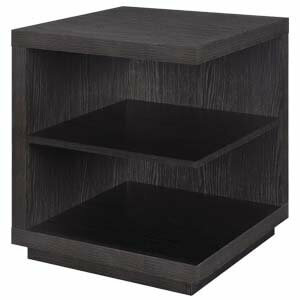 As well as a single pull drawer for closed storage and a bottom shelf for open storage.